Michael has gained extensive Board and General Management experience since achieving his MBA at Cranfield in 1976. Michael and his team have supported companies and projects in Europe, Dubai, Abu Dhabi, Saudi Arabia, Turkey, Mexico, India, Kazakhstan, Azerbaijan and Iran. These projects have included the development of Free Trade Zones in Dubai, Mexico, India and Azerbaijan. 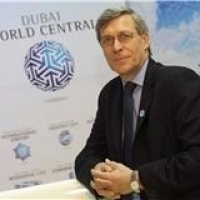 Michael was the CEO of Dubai Logistics City (DLC) and a member of the Management Board of Dubai World Central (DWC) from 2004 to 2009, the initial phase of planning and development for this project. Dubai World Central covers an area of 140sq km - the centrepiece ofwhich will be the new Airport of Dubai, capable of handling 160 million passengers when fully developed. DLC is a Free Trade Zone within DWC linked to the airport and the Jebel Ali sea port covering an area of 26sq km. Michael is a Chartered Fellow of the Chartered Institute of Logistics And Transport and is a qualified Accountant. He is involved in a number of representative bodies including Director of the Supply Chain and Logistics Group in Dubai, a member of the Advisory Board for the Cranfield Centre for Logistics and Supply Chain and a non-Executive Director of ECA International.